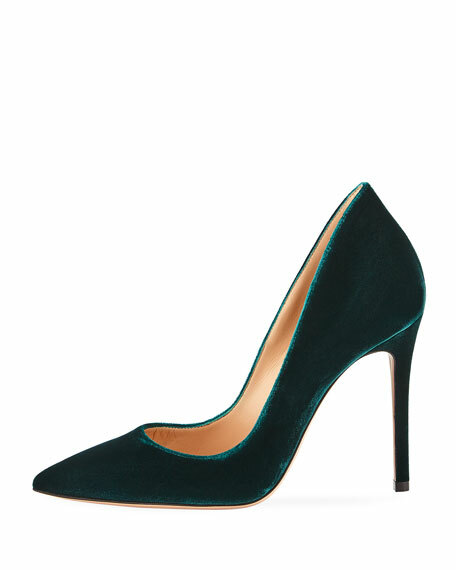 Gianvito Rossi "Ellipsis" pump with velvet upper. "Ellipsis" is handmade in Italy. 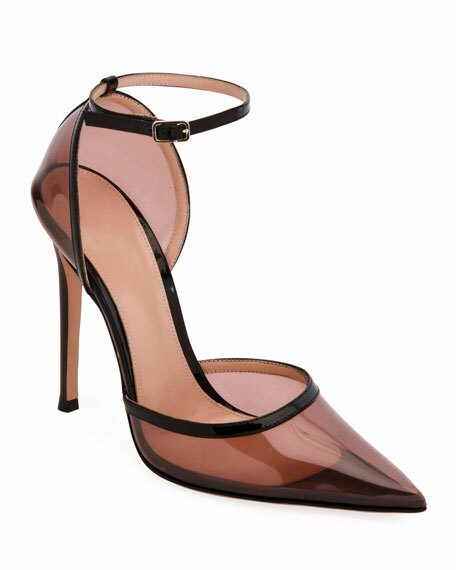 Gianvito Rossi blush plexi pumps with leather trim. 4.3" covered stiletto heel. Pointed toe. d'Orsay silhouette. Adjustable ankle strap. Leather lining and sole. Made in Italy. 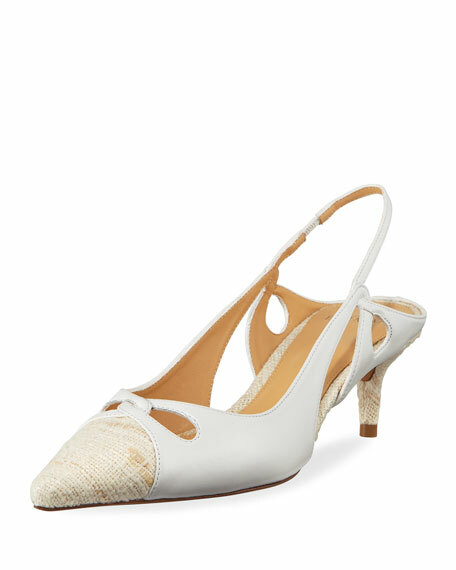 Gianvito Rossi leather pump with ring and tab detail. 4.3" covered stiletto heel. 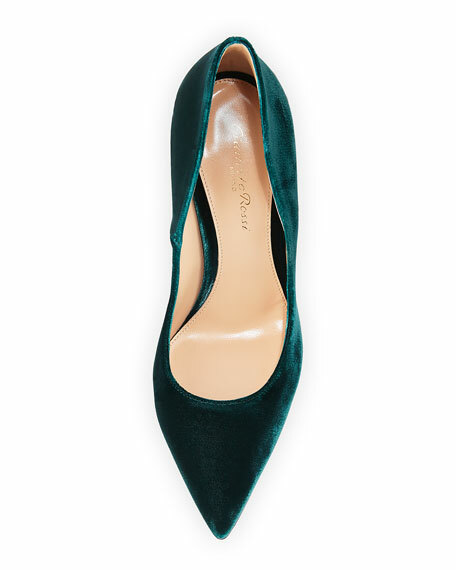 Pointed toe with buckle strap. Slip-on style. Leather lining. Smooth outsole. Made in Italy.